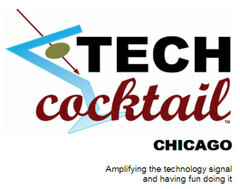 I co-hosted a sixth TECH cocktail in Chicago last night and co-host Eric Olson and I had a blast doing it. With 500 plus attendees at John Barleycorn in Wrigleyville there was so much energy and love in the room it was an amazing feeling. I got to see many familiar and as well as new faces as we continue to try and build a better and more tightly connected community in Chicago. Leading up to TECH cocktail Chicago 6 was super, as there was lots of TECH cocktail related action. 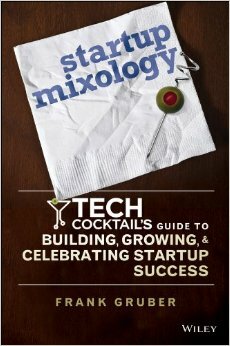 For example, DC TECH cocktail demoing startup PatentMonkey.com was acquired by Patents.com. Songza launched and then demoed at TECH cocktail last night. Also, TECH cocktail demo alum GrubHub got funded by repeat TECH cocktail sponsor Origin Ventures. TECH cocktail got a little local Chicago press love. Oh and I almost forgot, we now have a Twitter account so you can follow TECH cocktail on all its adventures in helping to amplify the technology signal in under-served communities. 42 Friends, LLC - A Facebook app creation shop which has spun out popular the apps “Growing Gifts“ and “Goals” as well as many more. Cappex - a safe and effective tool for finding the right college for you which I previously reviewed on Somewhat Frank. Cappex brought some sweet Cappex caps (some of the best swag I have seen yet). Dawdle - a site that enables users to buy and sell new and used video games, systems and accessories by matching buyers with sellers auto-magically. DirectVM - video email system for sending video email messages. PropertizeMe.com - online property management system which I reviewed previously. SeatQuest - a soon to launch online ticket search engine that virtually shows you your seats and where your friends might be sitting. Songza - an online music search engine and player created by Humanized which I previously reviewed on Somewhat Frank. ViewPoints.com - a personalized online review system where you are matched with people with like interests for more relevant reviews. Waves.TV - a site that enables you to create a Web TV channel and broadcast online in a matter of seconds. Check out the photos from TECH cocktail 6 as they trickle into Flickr. Also just to show you how dedicated our TECH cocktailers are we got a chance to chat with Daliah Saper from Saper Law about how she came to TECH cocktail just a few short hours before boarding a plane to get married in Mexico. She explains how she is looking for wedding music (might want to check out Songza) and needs to still pack her bags - oh and we are all invited. Special thanks to co-host Eric Olson for being the the other part of the TECH cocktail duo that 'keeps it real', Greg Cangialosi for swooping in with the Hollywood-style TECH cocktail backdrop and our event assistant for her ability to pull together a number of things which helped make this TECH cocktail better. Thank you to all that sponsored, demoed and attended. Check out the TECH cocktail 6 photos - and keep checking back as they come in.